It’s very red and really rad! When it comes to aviation-inspired sports cars, not other country gives us as many as the United Kingdom. In recent years, we’ve seen Royal Air Force-inspired vehicles come from both Rolls-Royce and Aston Martin, with the latter already famous for the Vantage S models that paid tribute to the Spitfire plane and the Blades Aerobatic Display Team. Come 2017 and it’s time for the Vanquish to join the aviation-inspired theme, this time around as a tribute for the RAF’s Red Arrows acrobatic unit. Commissioned by Aston Martin’s dealer in Cambridge, the Vanquish S Red Arrows Edition is limited to only 10 units, nine for each pilot of the Red Arrows unit and a tenth car to be given to the RAF Benevolent Fund charity. Crafted by the Q division, the Red Arrows Edition is by no means a regular limited-edition Aston Martin with a custom paint job. 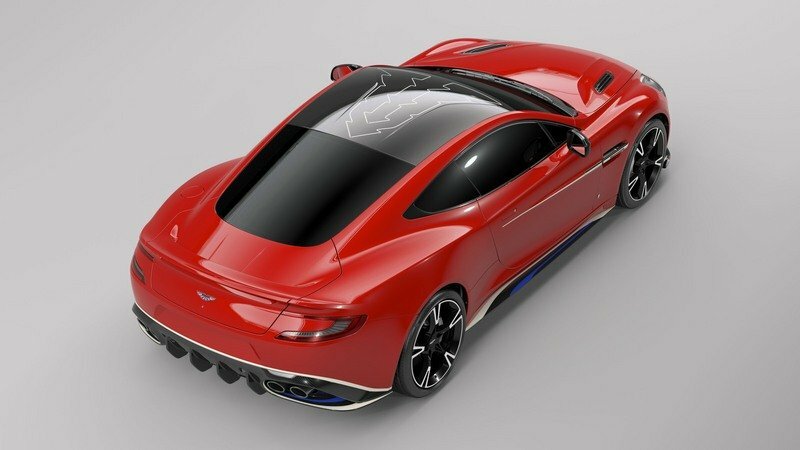 On top of the Eclar Red paint that mirrors the familiar livery of the Hawks and references the Red Arrows’ motto, the coupe sports all sorts of details that make it unique in the lineup. Custom features include white detailing in the front bumper and grille, blue highlights on the side skirts, white "smoke trails" on the side strakes, "Union Jack" enamel wing badges, and "Union Jack" side winglets on the bumper. The carbon-fiber roof has white graphics that mimic the canopy design of a jet fighter, while the standard exhaust pipes have been replaced by titanium pieces. The Red Arrows and RAF-inspired theme continues inside with Pinewood Green inserts that evoke the design of the classic flight suit and Martin Baker ejection seat fabric. The signature Red Arrows emblem of the nine aircrafts in classic "diamond" formation are embroidered on the seat backs, while the unique engine inspection plaques are signed 1 through 10. There’s also Royal Air Force Aerobatic Team logo embroidered on the transmission tunnel, while the rear of the cabin allows the stowage of twin racing helmets, both finished in the Red Arrows livery. Aston Martin also added a One-77 derived steering wheel, as well as a bespoke center rotary toggle switch inspired by aviation instrumentation. The bespoke cabin is rounded out by door cards embroidered with a graphic of the iconic "Vixen Break," a spectacular high-G 9-aircraft formation. In addition to all of the above, each Q by Aston Martin Vanquish S Red Arrows owner will get a range of accessories that include racing helmets, racing suits, embroidered bomber jackets, and a Vanquish S bespoke luggage set. 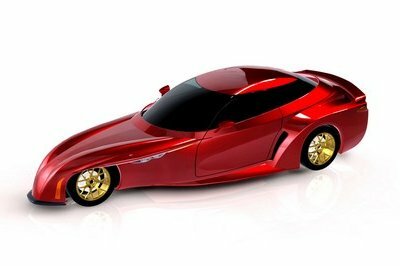 A highly-detailed, die-cast 1:18 scale model of their car and the Hawk aircraft and a specially designed car cover and Build Book will also be included. The drivetrain remains stock, meaning that the Red Arrows Edition gets its juice from the big 5.9-liter V-12 engine rated at 592 horsepower and 465 pound-feet of torque. 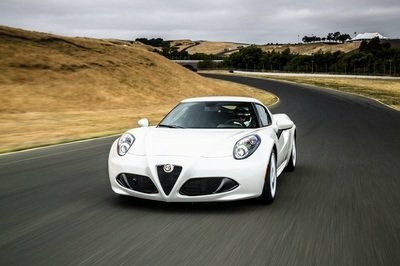 The coupe needs 3.5 seconds to hit 62 mph before topping out at an impressive 201 mph. The transmission is an eight-speed Touchtronic III. 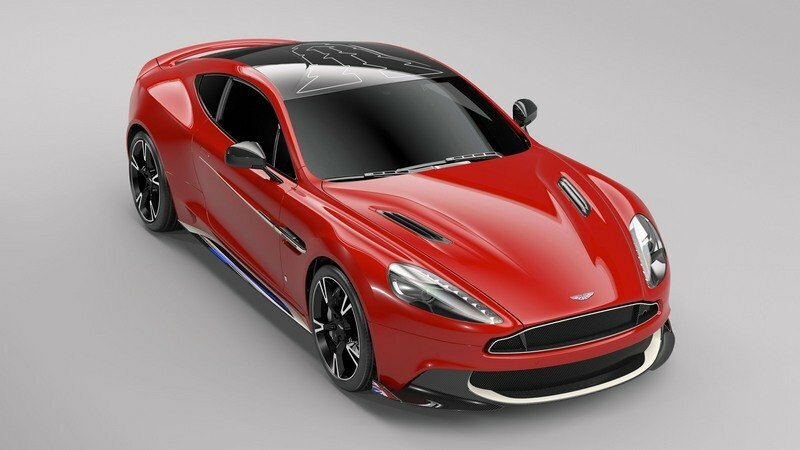 Spectacular British aviation skills are the inspiration for Aston Martin’s latest Q by Aston Martin creation; the Vanquish S Red Arrows edition. 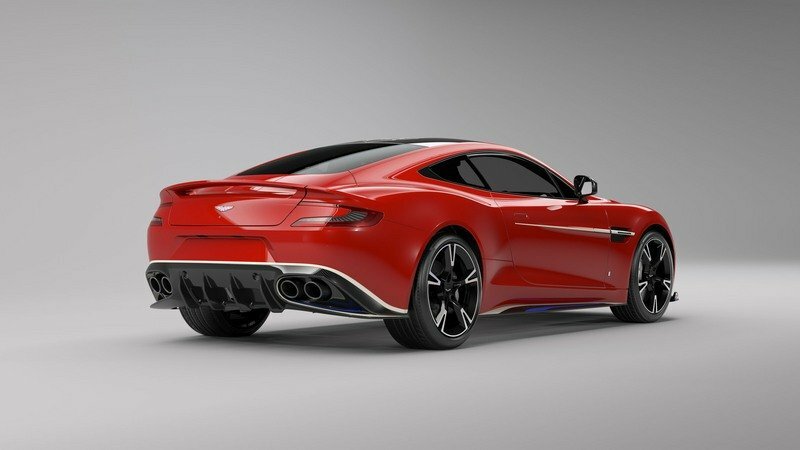 Just ten examples of the Red Arrows inspired cars are being commissioned by Aston Martin Cambridge, each with special design features, hand-crafted interiors and graphic elements that draw on the visual language of aviation, as well as the skill and agility of the RAF’s globally acclaimed official aerobatic unit, the Red Arrows. 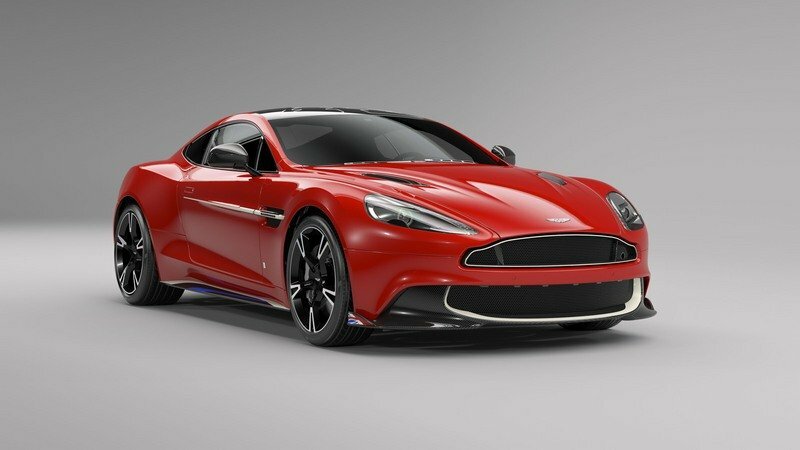 The Q by Aston Martin Vanquish S Red Arrows edition is finished in striking Eclat Red, mirroring the instantly familiar livery of the Hawks and referencing the word ’Eclat,’ the Red Arrows’ motto. A host of subtle details enhance the bodywork and interior, from white and blue carbon livery detailing to the white ’smoke trail’ feature on the side strake. An exposed carbon fibre roof panel includes an inlaid ’charge’ pattern mimicking the canopy design of a fast jet, while Union Jack enamel wing badges and a titanium exhaust complete the exterior package. Inside, Red Arrows and RAF inspired details are used throughout, such as the Pinewood green inserts that evoke the design of the classic flight suit and Martin Baker Ejection Seat fabric, together with the green webbing seatbelts. The signature Red Arrows emblem of nine aircraft in classic ’diamond’ formation is embroidered on the seat backs, along with unique sill and engine inspection plaques. The latter will be signed, 1 through 10, by the equivalent number ’Red’ pilot in the squadron. The Royal Air Force Aerobatic Team logo is embroidered on the transmission tunnel, and the rear of the cabin is finished in the 2+0 configuration, allowing for rear-mounted stowage of twin racing helmets, both finished in the Red Arrows livery. The One-77-derived steering wheel is paired with a bespoke centre rotary toggle switch inspired by aviation instrumentation and switchgear, including black/yellow hatched design pattering on seat fold and door pulls. The door cards are embroidered with a graphic of the iconic ’Vixen Break,’ a spectacular high-G 9-aircraft formation. 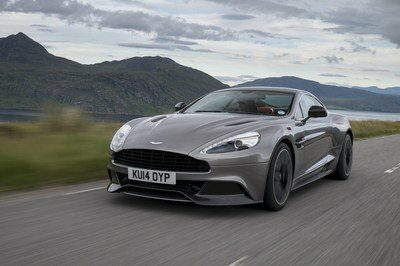 The Vanquish S is a high-performance masterpiece, a fitting culmination to this iconic model’s production run. 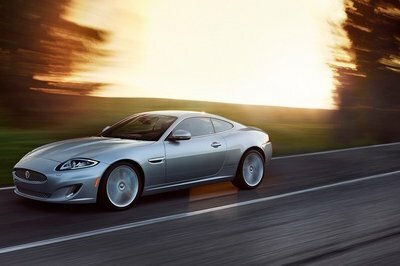 One of the most agile road-going Aston Martins ever built, it delivers muscular performance with a finely grained analogue connection between driver and road. Just as the BAE Systems Hawk communicates every facet of the flying experience to its pilot, the Vanquish S provides a truly visceral drive, making it a perfect match for the spectacularly aerobatic Hawk. The limited edition is the third Q by Aston Martin - Commission from Aston Martin Cambridge, following on from the success of last year’s V12 Vantage S Spitfire 80 Edition, marking 80 years of the Supermarine Spitfire’s first flight, and the earlier Vantage S Blades Edition, developed in collaboration with the Blades Aerobatic Display Team. The Q by Aston Martin Vanquish S Red Arrows edition was announced at the handover of the former RAF St Athan facility in South Wales, soon to become Aston Martin’s second manufacturing site in the UK. 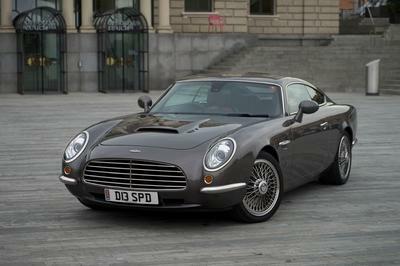 Strictly limited to just nine customer cars, Reds 1 through 9 are available to purchase through Aston Martin Cambridge.